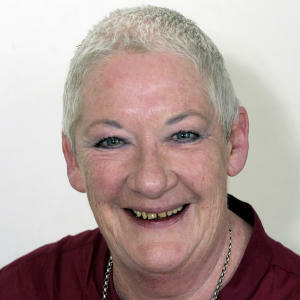 Anne Phelan has been an actor since 1968. She’s appeared in shows from Prisoner to Neighbours and almost everything in between, including four years as Kate in Bellbird. Since proudly joining Actors’ Equity in 1968, Anne has worked in all aspects of the industry and is a familiar face on our TV screens. She is the recipient of eight Best Actress Awards including an AFI award for Mumma in Poor Man’s Orange. She was voted the Variety Club TV Actress of the Year for her role in The Harp in the South and received two Television Society of Australia Awards for her role as Myra Desmond in the ever popular Prisoner. She picked up her second AFI award for Mon Taylor in Something In the Air. On stage, Anne has appeared in over 50 shows. She feels especially privileged to have worked on many Australian plays. Anne has completed two very successful seasons of her own show An Accidental Actress, and she’s appeared in the films The Devil’s Playground and Charlie & Boots. In 2007 Anne was awarded an Order Of Australia for her services to the arts and to the community. She is the patron of Positive Women Victoria, a support organization for women living with HIV. She is a member of Actors For Refugees, performers who tell the true stories of Australia’s refugees and asylum seekers. Anne is proud to have been inducted onto the Victorian Honour Roll of Women.